BERLIN -- New-car sales in Germany will grow more strongly than expected this year, helped by automakers' trade-in incentives for older diesel models which boosted orders in September despite fewer selling days, the VDA auto industry lobby said. Volkswagen Group, Daimler, BMW Group and others agreed in August to offer buyers trading in thousands of euros off the price of a cleaner model as part of a deal with the German government to tackle pollution from diesel cars and avert bans. New-car registrations in Europe's largest auto market may increase 4 percent this year to around 3.5 million models, the VDA said on Wednesday, compared with previous guidance that sales would be flat on 2016 results of around 3.35 million cars. 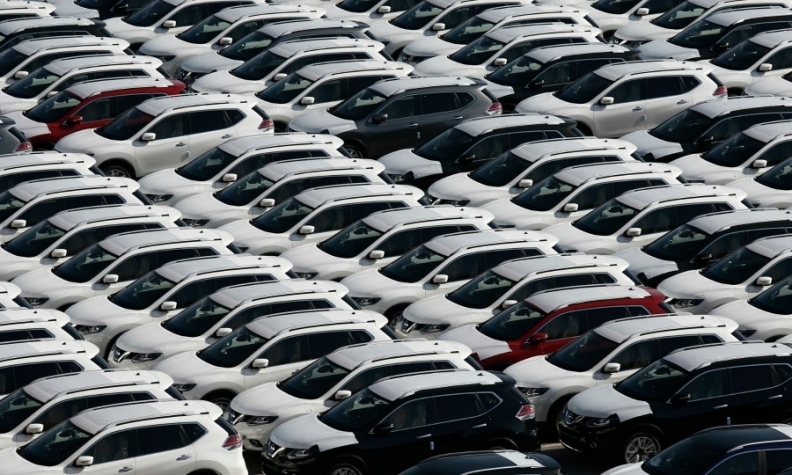 Domestic car orders rose 4 percent in September despite one less selling day compared with the same month a year ago, though actual sales fell 3 percent to 288,100 vehicles, VDA said. "The German market is developing more dynamically than expected," VDA president Matthias Wissmann said. "Customers are making use of these attractive offers," he said about rebates. Incentives announced in August range from 2,000 to 10,000 euros ($11,800) at the VW brand, 3,000 euros to 10,000 euros at its luxury division Audi, 2,000 euros to 8,000 euros at Ford and up to 2,000 euros at BMW. VW alone has received 20,000 orders from people willing to trade in older diesel models for a new Euro 6 car, and has more than 800 orders for the electric Golf hatchback, Automobilwoche reported last week. Germany joined the UK in seeing a sales decline this month as registrations in Britain fell 9.3 percent. This contrasted with gains in Italy, Spain and France, the region’s other key markets, where sales grew 8.1 percent, 4.6 percent and 1.1 percent respectively. Germany's KBA motor vehicle authority said brand-specific sales data will be published on Thursday.